This guide is designed for anyone looking to ask Father Christmas for a steam train set this Christmas and would like a little advice. Unfortunately, train sets are not given much of a look-in by the model rail press, so hopefully this guide goes some way to plugging that gap. The reviews are based on knowledge of the contents of the set’s and therefore we will not look at specific diesel or Thomas the Tank engine packs. I have tried to simply things somewhat so as not to confuse those who first think of a dog when you say “pug!” I have created a FAQ web page that goes over some of the basics. 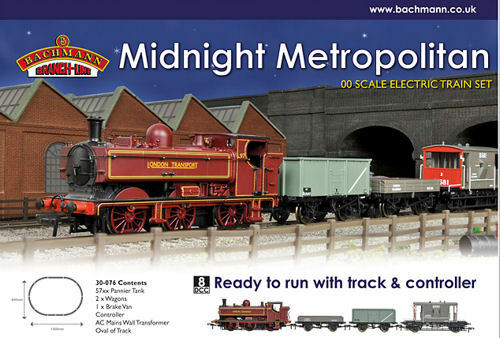 12 train sets from Bachmann and Hornby’s 2012 catalogues are reviewed here. There are still trains sets available from some suppliers; some limited edition sets released earlier in the year plus a few 2011 and even older available, but unfortunately there are be too many for me to review in my spare time! This set comes with a decent model locomotive, but unfortunately this has given it a high retail price, making the set pretty poor value for money. In should not cost much more than Bachmann’s Western Rambler, but is almost double the price and therefore is not a great buy, especially considering the basic Railroad Pullman carriages supplied. I would not recommend spending more than £130 for this; which is a big ask! 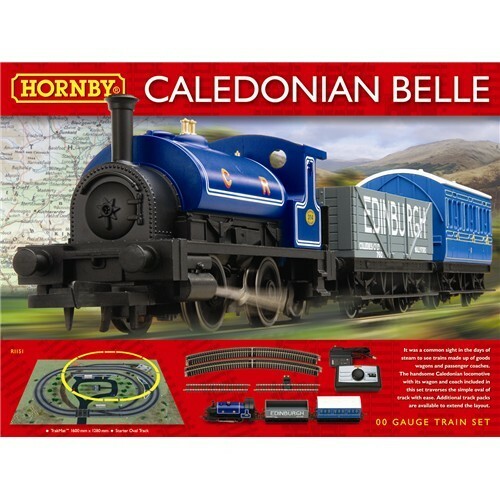 One of the better low-budget Hornby offerings, the pug is their best basic generic 0-4-0 model around and the Caledonian livery is bright and attractive. If you can find it for around £50; you’re getting a good value deal. Do not forget that the model is lightning quick, so is fun but ultimately unrealistic in its performance. This is an excellent start into digital model railways for younger children and fairly good value considering you get a DCC controller and two locomotives. The two models run significantly better than Hornby 0-4-0’s and the set has real playability. The models are generic toy-like representations, so it is not suitable for older (12+) audiences. This is substantially more expensive than the Hornby Caledonian Belle and you get a more track, an extra truck and a slightly inferior locomotive. It’s not worth it! It’s worth considering for around £55 though. This is a good budget package, although it’s a shame Bachmann did not give the set more track. The model is decent, being a good runner and that’s easy to switch it to DCC at a later date. Overall it’s better than equivalently priced Hornby sets, although seller discounts are unfortunately not always as high. As with the DCC starter set, it is designed for a younger audience and for those 12+; they may find they outgrow the contents quickly.. The Hornby generic 0-4-0 tank engine contained in this set is a very poor model, even when compared with other train set models. For this reason alone I wouldn’t recommend the set! The set is a little redeemed by a nice selection of basic wagons and lineside accessories. The rrp of £74.99 is too high; only consider purchasing if it’s at a bargain (sub £50) price. Only suitable for a younger audience. Bachmann train sets reviewed here are in a different league to Hornby’s and this is no exception. The fantastically liveried 57xx is an excellent model. It’s a pity that Bachmann didn’t include a siding for this shunter, but overall it comes highly recommended. At first glance this looks like a good set, but be warned as it isn’t. The steam locomotive (Hornby J83) is one of the worst available on the generic 0-60 chassis, as is the very poor diesel class 08. The worst bit is the price tag – an RRP of £186.49 is a serious amount of money for such poor models. Despite it’s appeal of being a DCC starter package, it is best avoided, unless you can find it for around £105. Although not nearly as nice as Bachmann’s version, the Hornby Jinty is adequate, especially for a younger audience. The SDJR Blue livery is surprisingly well applied on this model. 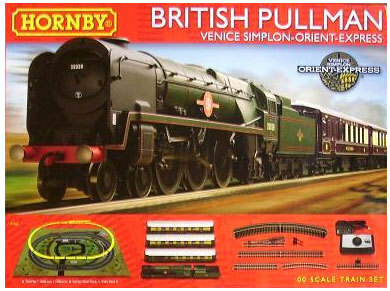 This set is a reasonably good package and the best DCC Hornby set reviewed here. This is a bit of a back-handed compliment though; as Bachmann’s DCC starter set is much better value and Hornby’s other offerings are very poor! It is worth around £100 – for that price it is good buy. This train set is by far the worst value of all those reviewed here. The Castle class locomotive uses Hornby’s old (ex-Dapol) tooling and is not a great model. Hornby’s super-detail Pullman’s are great on a DCC circuit as their lamps are permanently lit – however these basic Railroad versions do not have this function. What an opportunity missed! Do not buy this set, it is not worth the money. In the past; this set came supplied with a tender-drive model of Flying Scotsman. Now that it has the basic but well performing loco-drive version, the set represents better value for money. Getting a Flying Scotsman train set for Christmas is a rite of passage to many railway modellers; a tradition that this set will help continue. Try and get it for no more than £120 – shop around as this set is sold by very many shops so good deals can be found. Fantastic quality contents, far better than standard equivalent Hornby train set models. It is an excellent value train set and the best reviewed here. 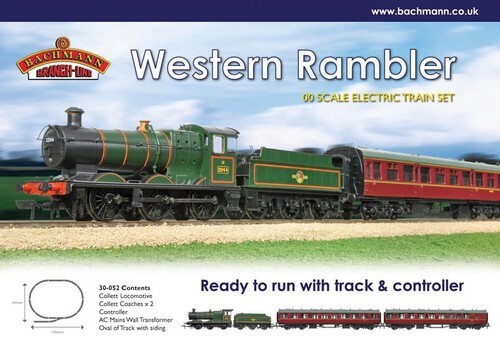 A simple rule applies here – the Bachmann train sets are better; with both the Midnight Metropolitan and Western Rambler set’s being the best reviewed here. However, some of the Hornby sets are worth considering for the right price; particularly The Flying Scotsman set. 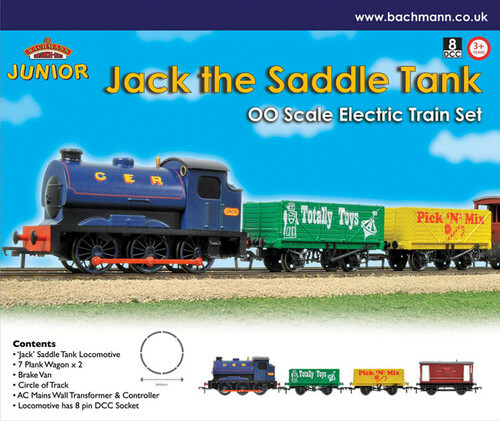 Younger audiences will like the excellent Bachmann Jack the saddle tank set, whereas Hornby’s Caledonian and GWR Passenger Freight are reasonable if found for around £50. 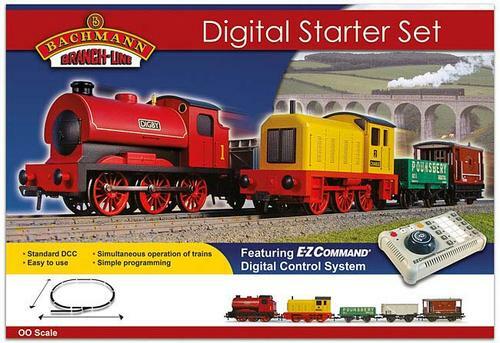 If you wish to go digital – which is well worth doing; Bachmann’s digital starter set is the best package, although it is designed for younger enthusiasts. 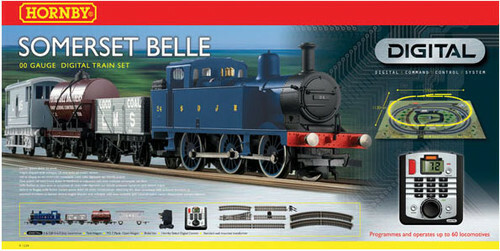 Hornby’s more expensive DCC Somerset Belle is a little more grown-up. Do not bother with the hideously over-priced Hornby “The Cornishman” or “Mixed Freight”. ← Proteus of MagicLampStudios Movember Competition Entry! The GWR Frieght is currently avaiable for £50 at places like Modelzone which is a really good entry set.